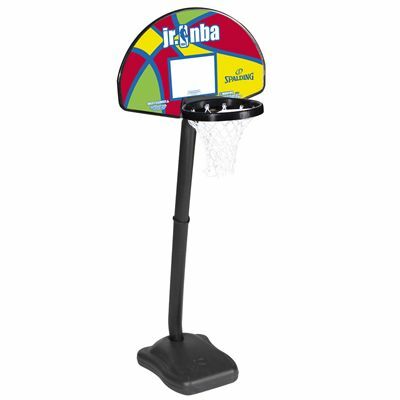 Improve your shooting skills to maximize scoring options and have excellent fun with family and friends with the Spalding NBA Junior Shoot-Case one on one basketball system. Featuring a stable base, rim diameter of 25cm (9.8’’) and an easily adjustable height, the system is suitable for children and adults alike and can be used both indoor and outdoor. This cool junior NBA system is quick and easy to assemble and comes complete with a Spalding mini basketball. for submitting product review about Spalding NBA Junior Shoot-Case One on One Basketball System.